Pacific Crest Builders Inc. is a full service design, development and building firm specializing in the practical incorporation of sustainable and green building methods in all of our projects. 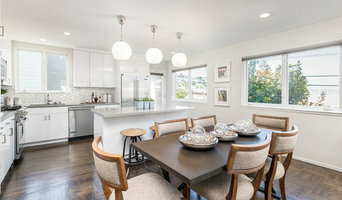 Based in Walnut Creek, we provide the highest levels of quality, value, and durability and have a long list of satisfied clients that can speak to our unique approach to building and unparalleled personal service. 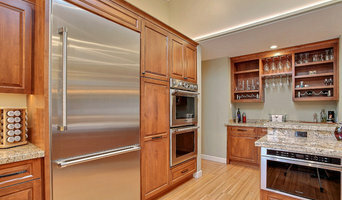 We bring highly efficient production building techniques and methods to the custom home, light commercial, and whole house remodel market and provide great leverage on pricing, which we then pass through to our Client. Our team of architects, engineers, and consultants provide cutting edge designs both stylistically and functionally, assembled by quality trades with incredible experience and resources, yet costing significantly less than a full on design build approach. 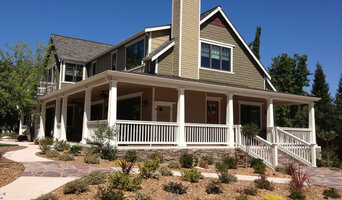 We specialize in building new construction on existing infrastructure for little more than a typical remodel price. We are also Building Performance Institute accredited and have the capacity to show you ways to maximize the energy efficiency on any proposed project and position you to obtain available rebates through Energy Upgrade California and PG&E. 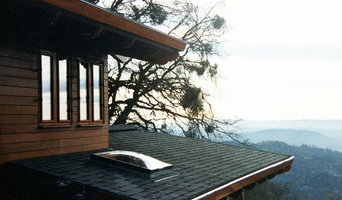 Please visit our website at www.pacificcrestbuilders.com to see the quality, detail, style, and durability incorporated into each of our projects. Our experience and integrated development model allows us to create tremendous value for our clients regardless of the scale of the project. We continue to build our business one client at a time, one referral at a time, one relationship at a time. Gayler Design Build is an unrivaled, award-winning design build firm with 20 national and regional design awards. They are located in Danville, CA and serve the Tri-Valley and Lamorinda regions. With an enviable 21-year track record, Gayler has completed every project on time, and on budget. From completing whole house remodels, kitchen and bath renovations and additions, to finishing outdoor living spaces, Gayler has been successful at executing the job to each customer’s satisfaction, incorporating personal design customization into every project. Their thorough planning process, quality of craft, dedication to excellence and clear communication (with clients, trade & supplier partners, the city and other regulatory organizations) keeps each project on track at every step. Of course, the finished product keeps generations of loyal clients, as well as new clients, coming through the doors. Important to Gayler Design Build’s distinction is its family-owned operations, headed by George and Darlene Gayler, and son Chris Gayler. The dependable communication and personal attention are what make Gayler so special, and their five-year written warranty means they stand behind their work and their word. Their hands-on approach puts client relations at the forefront of the business, and Gayler goes to great lengths to cultivate and deliver an incredible customer experience. Gayler’s genuine interest in their clients’ satisfaction has extended beyond into their community at large. “We are not only motivated to do the right thing for our clients, but for the charitable organization we support, the Taylor Family Foundation,” says Darlene Gayler. With a focus on helping families and children with chronic illnesses, the Taylor Foundation mission inspires the Gayler family. “We actively chose to integrate philanthropy into our professional and personal lives, and we help fund their cause through donations of time and money,” explains Darlene Gayler. Tim Lawlor Construction is a full service design build company. 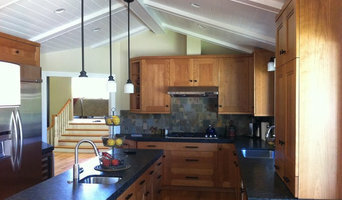 With clients found all over the greater Bay Area we specialize in all things construction and design. We got our start in 2009 as a few man team working on jobs ranging from kitchen and bath renovations to handyman help around the house. Starting the business in the height of the bad economy we learned how to complete each job as efficiently as possible and stay within the original scope. Over the past few years as business has flourished, we strive to exceed the level of performance provided to previous clients not only in construction but now also in design. With over two decades of experience in the construction industry, we make sure each and every project we work on is exactly what you imagined. Our team has been going the distance for our customers, bringing modern fashion and design to residential and commercial properties while relying on high-quality materials and proven construction methods so that our work always passes the test of time. We work together to make the entire construction process both satisfying and enjoyable. Integrity, honesty and genuine empathy for your needs is at the forefront of our company values. We manage every project with personal attention to detail and will continue our work until you are one hundred percent satisfied. You may discover the house of your dreams is actually hiding where you live today... JTR Construction Co. Inc. has been in the construction business for more than 34 years in the East Bay. We have learned the best way to approach a construction project is to begin with a quality design and putting the clients preferences as a top priority. We know that when the owner, designer and builder work together it produces the best project for the least dollar in the shortest time. One of the advantages of JTR Construction Co. Inc. is that we design and build the project from start to finish. We consider every project to be a personal investment and a work of quality architecture. We would welcome the opportunity to talk with you about your dreams and plans for your home. Since 2003, Imagine Construction has been creating dream homes and spaces for clients. Founded by Brett Weaver, Imagine Construction was destined to be a success from the beginning. His eye for design and creativity make him a wonderful contractor, and his hands-on and personal approach make him cherished by his clients.